Microfilm and microfiche always seem to be related to the periodical section of your local library. It used to be one of the easiest ways to efficiently store large volumes of documents (like newspapers and magazines) or documents that are rare, fragile or valuable. Generally categorized as microform, microfilm and microfiche are “pictures” of a document that is stored on photographic film. It’s a publication method that helps reproduce documents in a compact form. Microfilm images are very stable, and usually have an estimated shelf life of 500 years if they’re stored correctly. 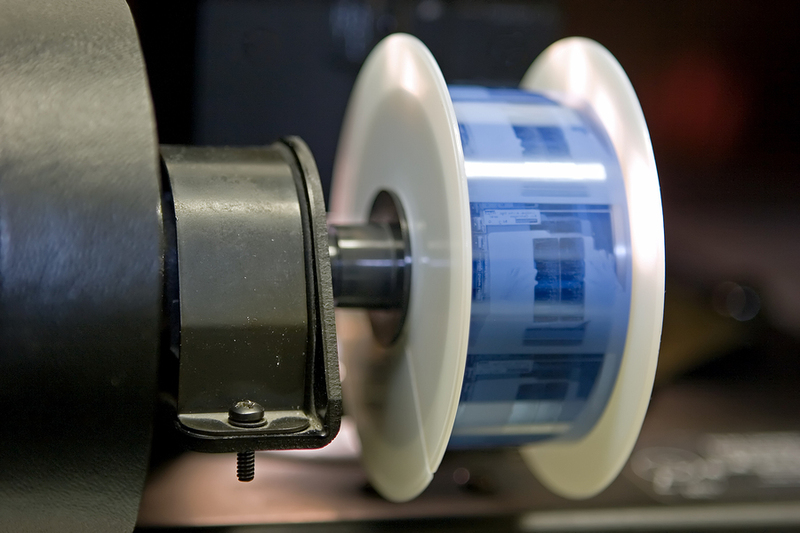 There are drawbacks of using microfilm as your primary method of backup and data storage. One of the main disadvantages is that the fact that it requires physical proximity to the documents and special equipment to reproduce and view them. As the cost of digital storage has continued to plummet, it makes sense to not only scan in archives of paper documents and digitize microfilm by using microfilm management services. Digital records can be shared seamlessly across organizations and long distances. Documents can be found quickly without the need for a physical search. It is easier to backup digital records offsite with a cloud storage service or tape rotation. The side benefit of digital backups and microfilm management services is that access control is also easier for electronic records. This is a roll of photographic images, similar to a roll of movie film. The standard sizes are 16mm and 35mm. 35mm is generally used for engineering drawings and 16mm for letter sized documents. The storage capacity for a roll of film is 2,400 letter sized pages or 600 drawings. They are also known as Hollerith cards. This is a 35mm chip of microfilm embedded in a punch card. The most common use is for engineering drawings. The punch card is coded with the indexing information for the image. Using a punch card allows for mechanical sorting of the drawings. The capacity is one drawing per card. This is a flat sheet of microfilm. The standard format is four inches by five inches. The average sheet of microfiche holds 98 letter sized pages. Get Free Quotes on Microfilm or Microfiche Conversion Services Today! With our microfilm and microfiche management services, all three formats can be converted to digital formats using specialized scanners. They are generally better indexed than their paper document cousins. This reduces the cost per image to scan with less manual preparation required. It’s important to find a company you can trust to help you manage your important documents and records. Let Record Nations connect you with a local professional today! To get started, fill out the form to the right, or give us a call at (866) 385-3706. Within minutes of receiving your request, you will have free quotes from experts in your area that can help you with digitizing your microfilm and microfiche documents.